In a bid to drastically improve safety and reduce the incidence of serious injury in eventing, a new traffic light system is being introduced across Ireland to promote better horse welfare and rider responsibility in the cross country phase. Working with EquiRatings eventing analytics company, Eventing Ireland is planning to use the colour-coded rating system known as ERQI (EquiRatings Quality Index) to assess the results of eventers and use it to judge their suitability for the level they are competing at. Statistics drawn from over 150,000 competition results worldwide show that eventers with low ERQIs are more likely to incur penalties, suffer falls and face elimination in cross country than those with higher ERQIs. While eventing will always be a risk sport, Eventing Ireland believes the new system will encourage riders to monitor their quality index themselves and take the necessary precautions. If they don't do so and continue to demonstrate poor form, their ability to enter at certain levels may be restricted by the system. Based on results, the ERQI will automatically highlight horse and rider combinations that are struggling at their current level and encourage them to compete at a lower one, hopefully helping them to avoid injury and elimination. It is worth noting that the ERQIs won't be visible to anyone beside Eventing Ireland and the eventers themselves. A green quality index is defined as 'satisfactory' by the system and means an eventer can continue competing at that level. Amber is defined as 'sufficient' but the system acknowledges 'warning signs' and strongly advises competing at a lower level, and a red ERQI is defined as 'unsatisfactory' and prohibits participation at the level they wish to enter. Eventers with red ERQIs are, however, allowed to compete at a lower level until their performance improves. Someone with a red zone ERQI has typically shown one clear on cross country in the past 5-10 attempts. 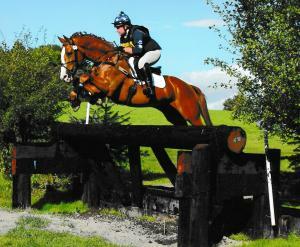 This makes the fall rate for red zone riders 4.3%, compared with 1.5% for Eventing Ireland's riders on the whole. It is hoped that the traffic light system will not only lower the rates of horse and rider falls, but will help promote greater rider responsibility and encourage eventers to make informed decisions about which level to enter, keeping their horse's welfare at the forefront of their decision making. We asked some of the VioVet team for their thoughts on the new system and whether it should be rolled out in British Eventing too. "I think the new traffic light system is a great idea for safety, however it may put some people off entering - especially if they have to be assessed by a trainer beforehand' - Verity, Equine Category Manager. "Again, I think it's a good idea for improving safety in the sport, but the ERQI doesn't take into account extenuating circumstances such as bad weather affecting ground condition etc" - Tash, Key Accounts Manager. We'd love to hear your thoughts on this discussion and find out if you think such a system could also work in British Eventing, or if there are alternative systems we could adopt. Please get involved and weigh in with your thoughts in the comments below!